Gold River, B.C. 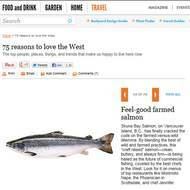 (July 22, 2013) — Beginning July 22nd, Skuna Bay, Vancouver Island Craft Raised Salmon will be available to the New England region with its expansion to Massachusetts, Maine, Connecticut, New Hampshire and Rhode Island. 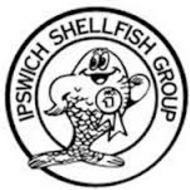 Skuna Bay Salmon is excited to welcome seafood experts Ipswich Shellfish Company to its team of exclusive distributor partners. Ipswich was selected as exclusive distributing partner in their area for their reputation for quality, sustainable sourcing and outstanding cold chain. Gold River, BC – The Global Aquaculture Alliance, the leading standards-setting organization for aquaculture seafood, has awarded its Best Aquaculture Practices (BAP) certification for processing operations to Walcan Seafood, the exclusive processors of Skuna Bay, Vancouver Island Craft Raised Salmon, owned by Grieg Seafood BC. 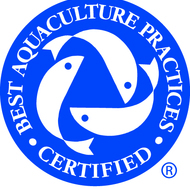 Now every Skuna Bay Salmon delivered to the marketplace is BAP certified from their sea farms through to their processor. “Our Craftsman Farmers have been tending our farms using Best Aquaculture Practices’ high standards since 2011 when our first four sites were certified followed by the remaining sea farms and now because of Walcan’s successful BAP certification, we are proud to say that every single salmon delivered to our customers is BAP certified from sea farm through to inspection, selection, preparation and packing,” said Dave Mergle, Director, Skuna Bay Salmon. 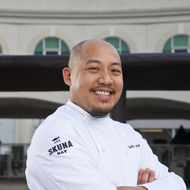 Craft Raised King Salmon from Skuna Bay - Now Available! Our Craftsman Farmers know about the importance of water in the King Salmon’s upbringing. They know that the currents of Sechelt Inlet can be both perfect for and a unique challenge to rearing the majestic King Salmon. They know that the King Salmon is a finicky fish and that attention to detail every day of its three year life span will be the difference between perfect and good. They also know that when harvested carefully the Kings’ delicate texture and unique taste make it a treasure for chefs and their diners. 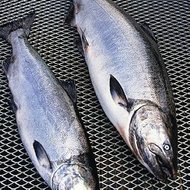 That’s because the King Salmon is a sensitive animal and it requires calm and controlled conditions during the harvest. Small seine pockets, reduced time in the net and careful monitoring of our Kings’ conditions are critical in preventing distress during harvest – so that unique flavor is achieved.